Almost a month now since my last update so I thought I'd give an update. Apart from copious amounts of Strikers 1945 + and Garou Mark of the Wolves I've been generally busy with the whole Christmas thing. 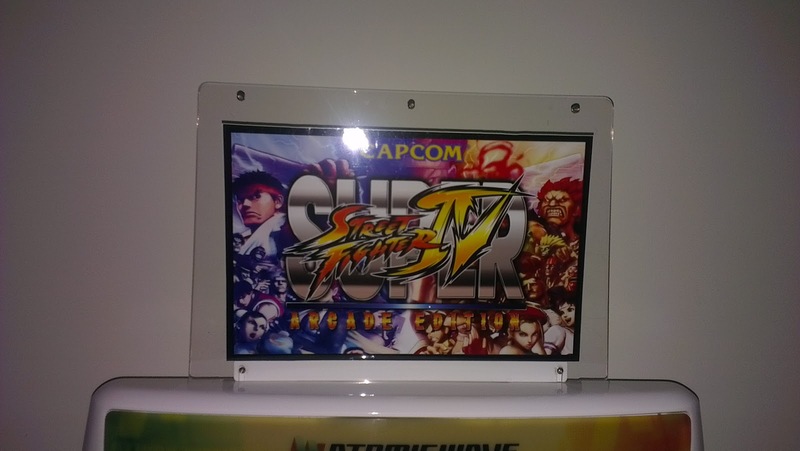 I purchased a repro Marquee holder from the ever talented FrancoB a while back but left it sitting at work for ages. Finally got it home and set up, replacing the slightly tatty original holder. 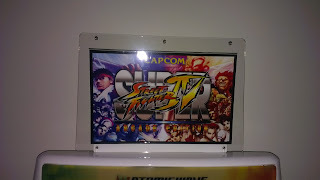 The new holder looks amazing and really makes the repro marquee zing. I'm a big Mortal Kombat fan so a few weeks ago I purchased what was supposed to be a complete Mortal Kombat 1 board. 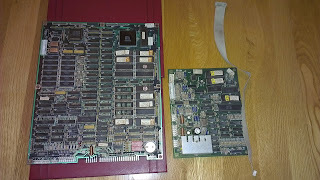 When the board arrived it was missing one important cable that carries power from the main board to the separate sound board. I dug out the board schematics online and tried soldering some wires directly from point to point. Something is not right as I now get a loud humming with faint background sounds. I'm still on the case and hopefully I can get this resolved asap. In better news, my favourite Mortal Kombat game is MK2. 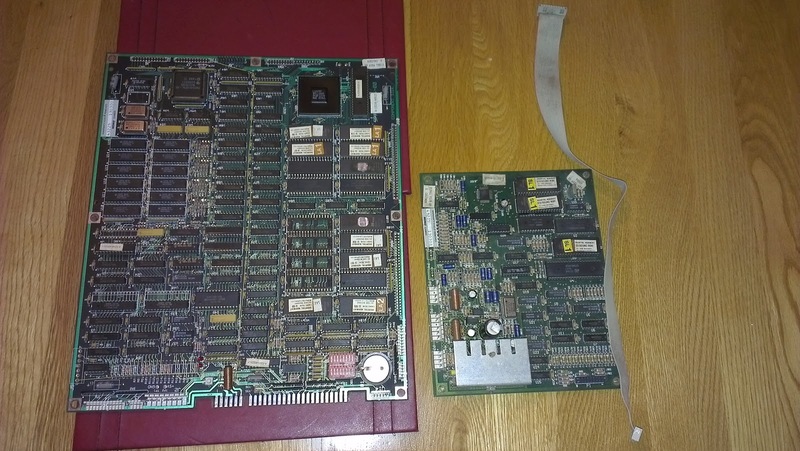 Have been seraching for a pcb for a few months now and finally one cropped up at Christmas over on Neo-Arcadia. It arrived yesterday, connected up and sort of worked. I had a problem with fuzzy graphics and the game restting when I pressed the Start button. Turns out the board requires a solid 5v so a quick adjustment of VR1 (5V) on my Wei Ya P271 PSU sorted it out. Running perfectly now. I just need to make a kick harnessto allow me to use buttons 4 and 5 (LP and LK) in the game. Should finish that tonight and I will stick a few pics up then.